뽀빠이 라이센스 의상으로 캐릭터 특성을 잘 살린 의상입니다. 올리브 코스튬과 함께 실감나는 이벤트 커플을 해보세요. 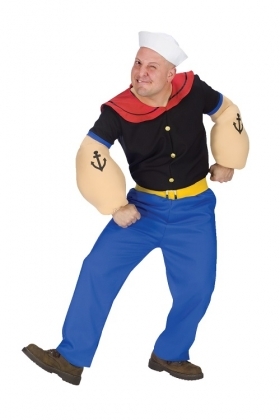 Popeye the sailor man! Blue pants with yellow belt, shirt with square back collar, muscle arms, sailor hat.